1. Christianity arrived in the Arabian Peninsula before Islam, in the first four and five centuries after Jesus Christ. Remains of a Christian Church of the fifth century are in Failaka (Kuwait) and in other places of the Peninsula. Islam came up during the seventh century. The Arabian Peninsula is now the centre of a growing economy and one of the world's hotspots for the Church, too. Many think that there are no Christians in Arabia and they are surprised on a visit here or when they read about it. The Church in the Arabian Peninsula is an exclusively pilgrim and migrant Church. Since the early nineties, the Catholic Church in the region has developed even more rapidly. The expatriates constitute nearly all of the faithful in the Vicariate. Though no official figures exist, it is estimated that there are over 1 million Catholics in Saudi Arabia alone. Kuwait has about 350,000; Bahrain around 80,000 and Qatar around 200,000 to 300,000 Catholics. The faithful are all working migrants from a hundred nations, the majority being from the Philippines and India. About eighty percent of the faithful belong to the Latin Rite while the rest belong to the Eastern Rite. It would not be untrue to say that Arabia has now become the face of a living Christian community, a “bridge” between diverse areas of the world and therefore between diverse cultures. 2. The Catholic presence in Arabia where Islam is the state religion is a seemingly peaceful one. The Catholic community is law abiding and trusted by the local governments. We enjoy freedom of worship within the confines of our parish compounds. The running of the parishes is further enhanced by the dedicated service of the pastors and the parish organizations made up of thousands of lay volunteers in catechesis, youth and family ministry, hospital and prison apostolate and social work. However, restriction on the number of priests, too few churches and limited space in the churches are the difficulties that we face, especially when the attendance at Masses is very high, around 25,000 on Fridays with 10 and more Masses and during the Christmas and Eastertide. Other problems such as distance from the church, employment and camp rules also make participation for many impossible. It is also forbidden (under threat of punishment) to engage in any public activity or display of religion, including proselytizing (the act of attempting to convert people to Christianity). 3. The Vicariate is a rich blend of Rites, nationalities and cultures and so the Church has had to adapt its pastoral work accordingly. The Rescript ex audientia approved by Pope John Paul II in 2003 and confirmed by Pope Benedict XVI in 2006 gives jurisdiction over all the faithful of whatever Church, rite or nationality, to the Bishop resident in the Gulf and under whose sole jurisdiction all the priests in the Vicariates work. The Bishop has the obligation that the faithful of the other Rites may practice and observe the norms of their Rite, which they do to the best of their ability. The Rescript has helped to maintain and promote unity, to avoid fragmentation and to provide the best possible pastoral ministry to all the Catholic faithful. 4. 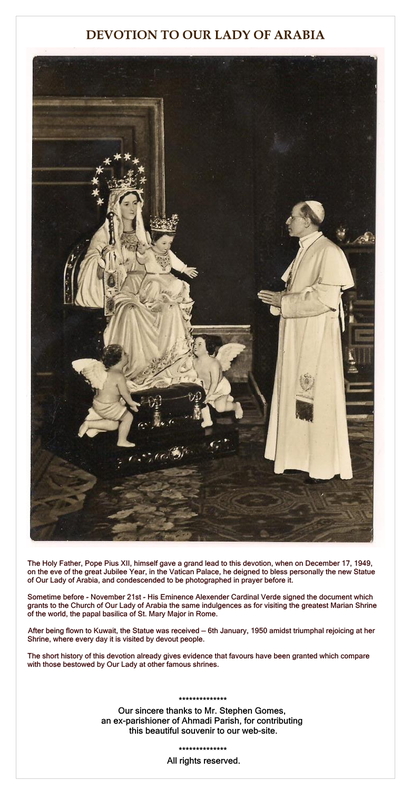 Both the Vicariates have been placed under the protection of Our Lady of Arabia. 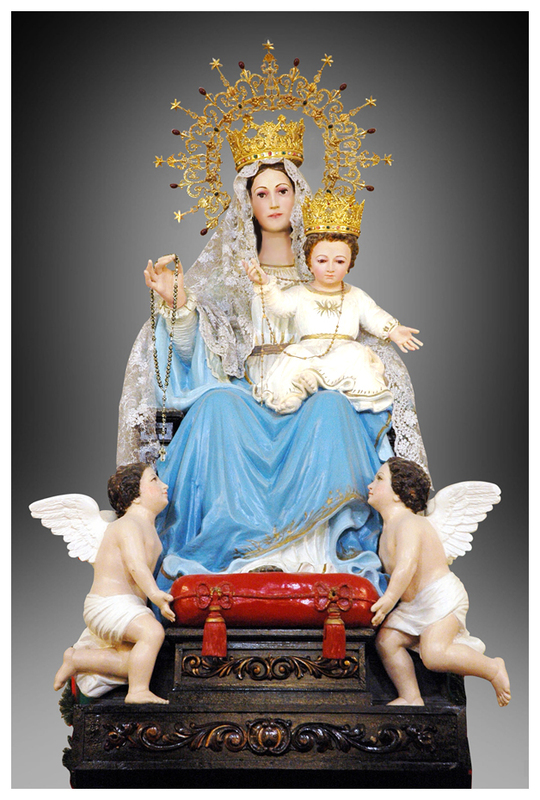 On January 16, 2011, in Kuwait, Cardinal Antonio Canizares Llovera, Prefect of the Congregation for Divine Worship and the Discipline of the Sacraments, proclaimed Our Lady of Arabia Patroness of both Vicariates and of the entire Arabian Peninsula. 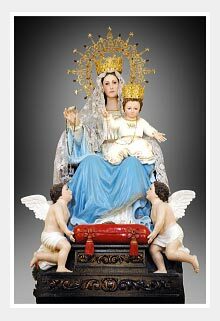 May the Mother of God, Mary Most Holy, Supreme Witness intercede to make more vibrant the witness of the Church in Arabia.